I've been a little more absent than I'd like lately, our trip, combined with sickness, combined with holidays, got me a bit off track...but I'm back and just in time for my favorite blogging month of the year, December. That's right, I'll be doing December Daily again this year, and I've got some fun stuff planned. Today, as the first day of December, Zoe and I will be writing her letter to Santa tonight. I made this layout with a special envelope just for this occasion. I'm planning on using Project Life, rather than a specific mini album to document our month. Are you doing anything specific to record your holiday memories? 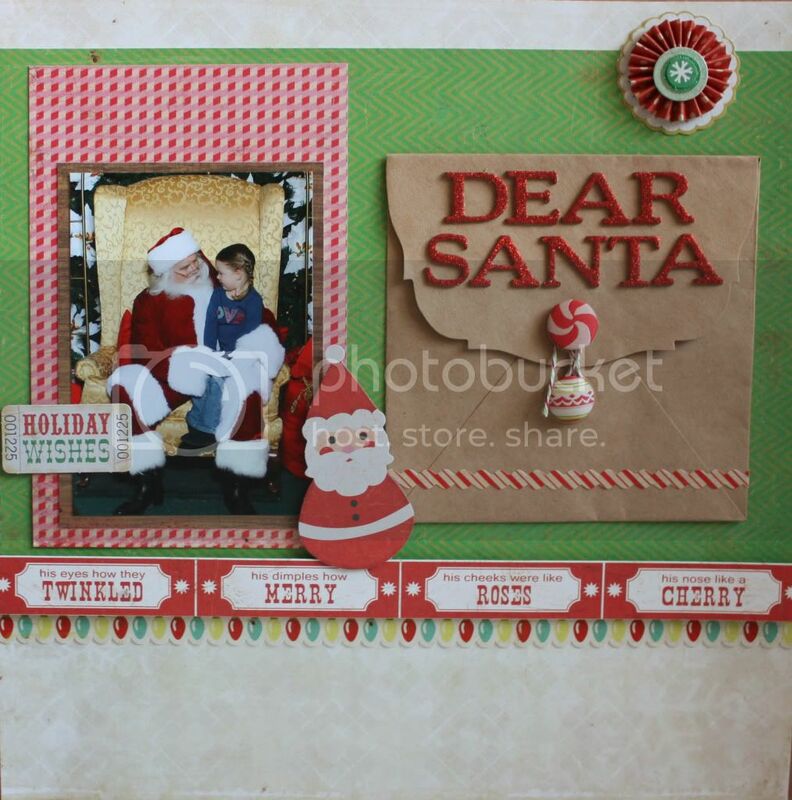 What a great layout, and the envelope for santa's letter is precious! TFS! What a darling envelope for such a special letter to Santa! Stop over to my blog sometime and give me a shout out. Those brads on that envelope are perfection!